Mildly Hot - Perfect for Salads! 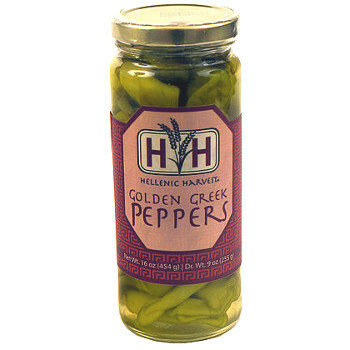 These pepperoncini are hand selected in Peloponnese, Greece, ensuring quality and freshness. They offer a slight heat and crispiness to make any salad, sandwich, pizza or entree perfect. If you wish to make them less spicy or salty, just rinse before enjoying!